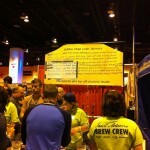 This past weekend was the Great American Beer Fest in Denver, CO. I was lucky enough to have visited the final evening of the festival. 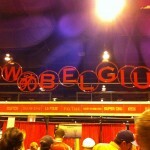 By far, the best beer fest I’ve been to, obviously, since this the biggest in the country. 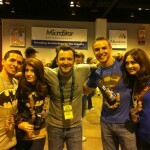 I finally had the chance to taste so many different beers that I don’t have access to in Nevada. In future posts I’ll write about some specific breweries or beers I tasted. And the list goes on. Attached are a few pictures I was able to take. 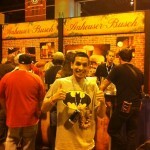 Yes I took a picture in front of the Anheuser Busch booth for fun, no I didn’t try anything there. I was surprised to see how busy the booth was, which is a shame considering all the great craft breweries that were there in attendance. 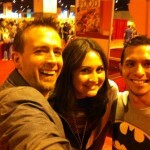 Got to meet Zane Lamprey from the TV shows Three Sheets and Drinking Made Easy, super nice guy. Also saw Greg Koch from Stone, he insisted that a picture be taken with him. All in all, it was a great time. 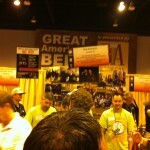 I highly recommend you take a trip to Denver for future GABF’s. It is impossible to not have fun. The royal family has decided that beer is for the lower classes and has banned any beer from being present at Prince William’s wedding. Specifically: “It isn’t really an appropriate drink to be serving in the Queen’s presence at such an occasion.” Since many associate beer with a drunken frat party with an endless supply of Bud Lite, beer can have a negative connotation. 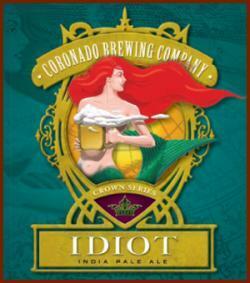 Many think of beer simply as the watered down taste of Budweiser, Miller, and Coors. 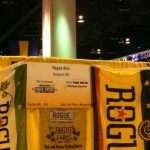 However, modern day craft beers have complex flavors that any alcohol enthusiast can appreciate. It is a shame the royal family does not see this, especially considering the history beer has had in Britain. So, in honor of this, here are 6 beers that would be great at a wedding. While William and Kate have not shared their beer preferences, if any, these beers are wedding worthy. This is a very smooth, amazing beer. It’s bottle conditioned, meaning that it is naturally carbonating and maturing inside the bottle. 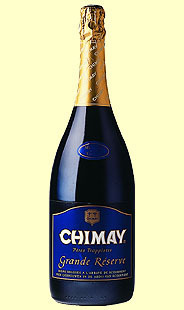 It is also brewed by monks in Belgium! How is this not classy? Another beer from Dogfish’s ancient ales. Also brewed with honey, this is a very light, crisp and refreshing beer that could easily replace a white wine. This is a witbier that is fermented with pinot noir juice. The added fermented fruit juice gives this beer a strong tart flavor making it a favorite amongst traditional wine drinkers. 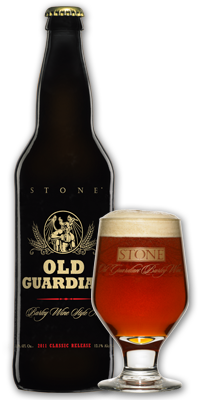 This is similar to Stone’s normal Old Guardian Barley Wine, however this one is fermented with a Belgian yeast strain whereas the traditional Old Guardian uses and American yeast strain. The Belgian yeast brings out some floral and fruity characteristics in the beer which pairs perfectly with the strong, distinct taste from the barley and hops used in barley wines. An unfiltered IPA from a small San Diego brewery. This beer is served on cask (aged and fermented naturally) giving this beer all the qualities of a good IPA with a smooth, soft texture.